As we settle into cooler weather, October is the perfect month to escape from New York for a long weekend getaway. Did I mention it’s only a 2-hour flight from NYC? We’d heard so many great things about Charleston so we headed south with our wonderful friends L + M for four nights of what we do best: eat, drink and eat and drink some more. 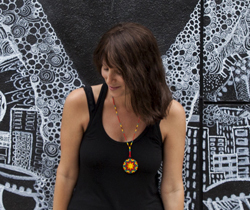 Having worked in food, it’s easy to become jaded by chefs and the restaurant scene. But our guide, the irrepressible Hoon Calhoun, introduced us to Charleston’s culinary gems, some of which were on our radar, some completely new to us, and we were bowled over. We stopped at Glazed for some of the best donuts I’d ever had (we went back the next day for more), The Macintosh for delicious morcilla, cute-as-pie Callie’s Hot Little Biscuits for, yep, biscuits, Indaco to watch fresh pasta being made (and where on our last night, we had the most memorable meal of the trip; more on that here) and finally a wonderful lunch at Prohibition, where Chef Stephen Thompson prepared for us roasted oysters, rabbit roulette and chicken lettuce cups with paella rice. But honestly, Hoon could have taken us to Subway and made the experience magical. We had an absolute hoot with Hoon. Find whatever tour he is doing while you are there and book it. And at $50 pp, it’s a steal. Since late-October in Charleston is essentially heaven on earth with daily temps around 84, we had to appease the weather gods by partaking in rooftop drinks. With lovely views of Cooper River, and the city’s many church spires, this is the perfect place for a pre-dinner Sweet Tea Martini. Start the weekend with an amble through Marion Square and this incredible farmers market with both fresh produce and food stands. Come hungry, because this is home to the best fried chicken in the city. Yardbirds nails the flaky crust-juicy meat Southern-style fried chicken that we haven’t found in NYC despite fried chicken being the new black. We also picked up Anson Mills Carolina gold rice, Botany Bay sea salt (amazing texture), Silver Queen corn and other local treats (all which went into my gumbo, see below). This 2-hour cooking demonstration was the perfect introduction to Lowcountry cuisine. Our gorgeous instructor, Victoria Frank, made the most delectable chicken, sausage and okra gumbo, and butterscotch pie – so good, my dessert-averse hubs licked his plate clean. I couldn’t stop thinking of that gumbo, so the night we came home I had to make it and it tasted just like hers. Can’t wait to read Victoria’s upcoming novel and cookbook. On one hand, the plantations, 30 minutes’ drive from downtown Charleston, are some of the most stunning landscaped gardens you’ll come across, and make for a lovely afternoon stroll. On the other, they were built by seven generations of slaves, toiling its rice, cotton and indigo fields. It’s hard to reconcile the two emotions. The house tour is a must, especially the heartbreakingly beautiful embroidered cotton sack. Charleston is made for walking, from King St’s shops and galleries, to Queen St’s collection of colorful doors, windows and cobblestone alleys. The perfect afternoon stroll starts in the waterfront park along Cooper River with views of the New Cooper River Bridge, then down by vibrant Rainbow Row, along the Battery with its spectacular multi-million dollar mansions, and up Meeting St. It’s impossible to take a bad photo in Charleston, this city is just too picturesque. 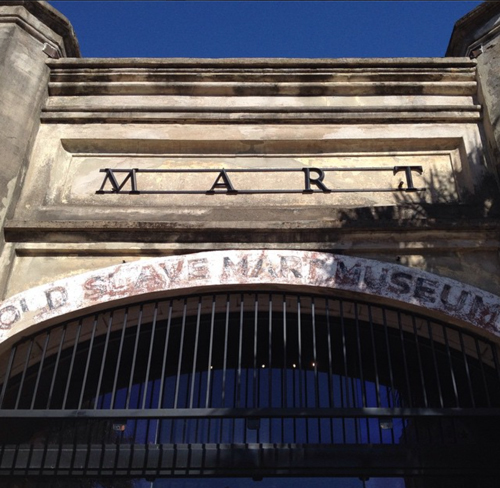 Don’t leave Charleston without visiting this important museum located in what was the city’s largest slave market. Charleston saw more slaves arrive from Africa than any other city, with 40% of slaves arriving through its ports. 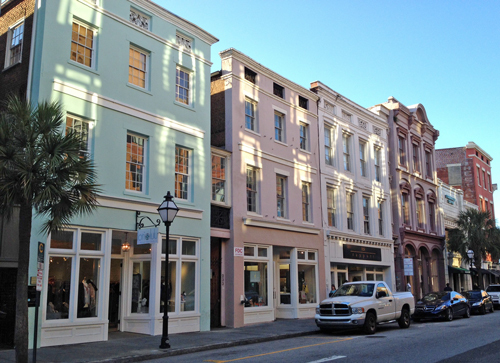 Follow my guide on where to eat, drink and shop in Charleston here! Looks like a beautiful town. Love the architecture and the colours. On my “to do” list now. And no filters on any photos too, just gorgeous, Charleston colors.